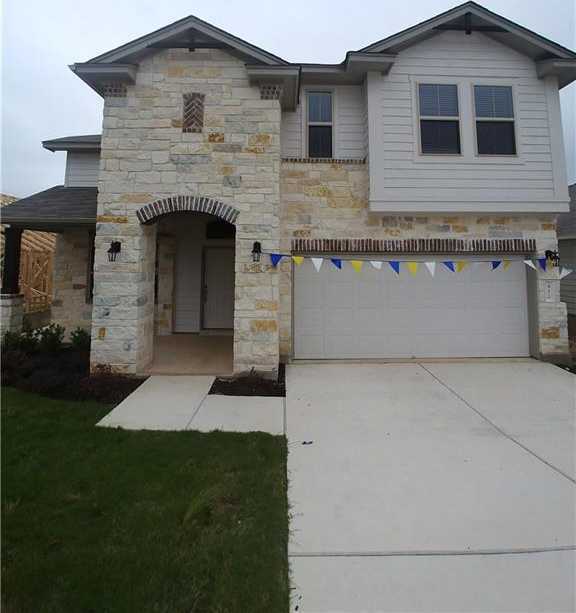 Brand new home in beautiful Larkspur in Leander. Huge covered patio overlooking tree filled greenbelt. Stainless Steel appliances including refrigerator and washer/dryer. Soaring 22-foot ceilings in the living room. Wood look flooring in living, kitchen and dining. On-Site elementary school opening fall 2019. Amenity center with resort style pool, fitness center, covered playscape and community room. Milestone Community Builders. I would like to schedule a private showing for this property: MLS# 3743234 – $369,990 – 412 Red Matador Ln, Leander, TX 78641.